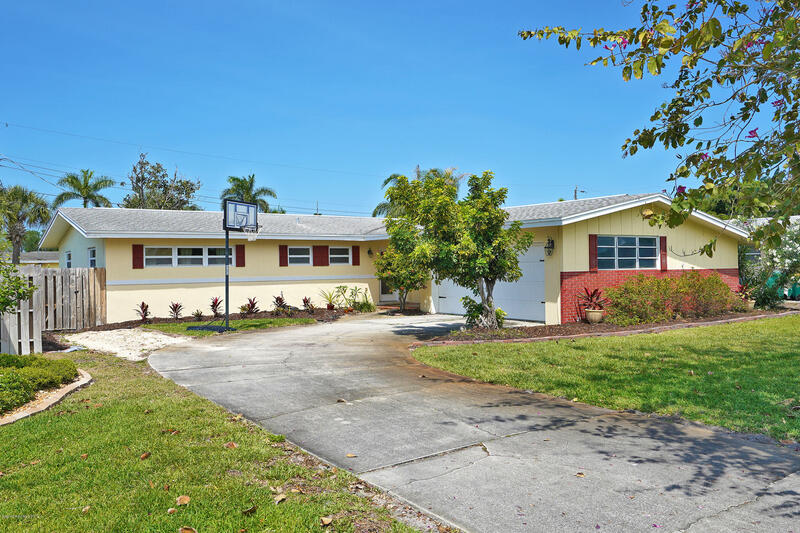 This bright 4 bedroom, 2 bath, home has been recently remodeled and painted. You will enjoy the large enclosed back porch/play room and generous fenced yard surrounded by mature trees. With great curb appeal and open floor plan, this house will be an amazing home for you and your family. Tile, carpet and new laminate floors throughout are easy to keep clean and numerous windows bring lots of natural light into the brightly painted rooms. The kitchen has Corian counters, white cabinets and stainless appliances. Your guests will be greeted in front of the house is a huge, unique Hong Kong Orchid tree that will bloom with hundreds of beautiful purple orchids. This home is just blocks from the Satellite Beach Public Library, Sports Complex, and close to schools, and the beaches.